Drive across the ‘Friendship Highway’, experience the incredible scenery of Yamdrok Lake and the Khamaba La Pass from every angle. Explore Lhasa, the main city and the capital of Tibet with the visits to the Potala Palaceand, Norbulingka Palace, two world heritage sites. See the beautiful sunset and sunrise view of golden Everest peak, two of the world’s most unforgettable experiences. 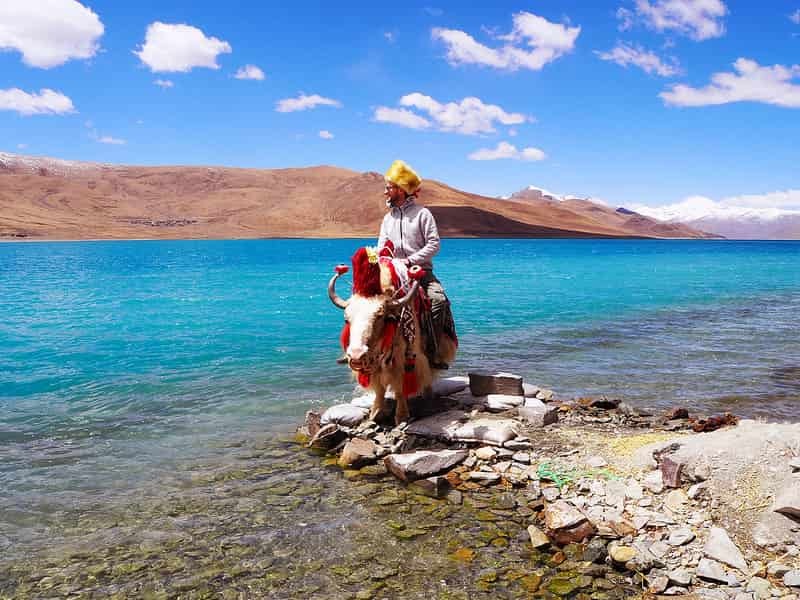 Our 10D9N Highlights of Tibet tour is perfect choice for those seeking a truly different culture and breathtaking scenic experience. 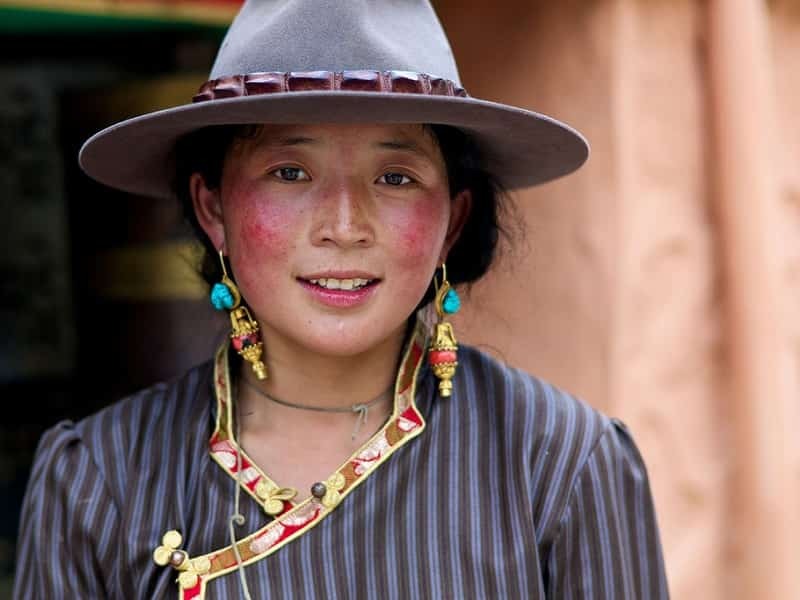 You will experience not only Tibetan religion and local lifestyle, but lots of amazing scenery en route: Tsedang, Gyantse, Shigatse, Everest Base Camp, etc. During the tour, you can do the sightseeing of various monasteries and temples. At the same time, you will discover ancient Buddhist culture, stunning landscapes, amazing turquoise lakes, exotic cities, hidden valleys. Upon arrival at Lhasa Gongkar Airport, you will be met at the airport by your Tibetan guide and transferred to your hotel in Lhasa (approx 70kms). Along the way, you can see the wonderful mountain scenery. Check into your hotel and spend the remains of the day at leisure, to acclimatize. You can make the short walk to Lhasa’s Old Town and explore the narrow streets and shops. This morning, wake up to beautiful views of the Potala Palace from your hotel, before heading out to visit this beautiful city. 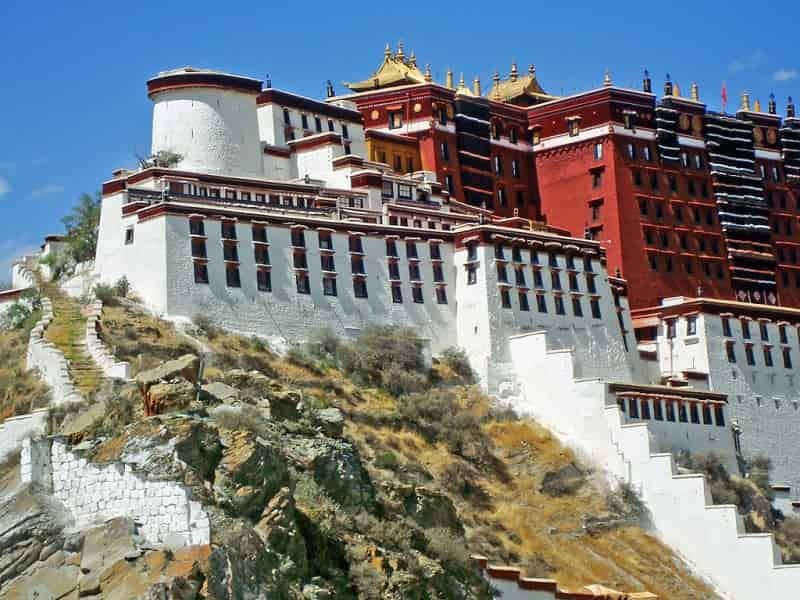 Begin your sightseeing tour with a visit to the beautiful Potala Palace, the dominant landmark of Lhasa, towering 117 meters above the city below. The entire building is made of stone and wood and covers an area of 130,000 square meters. It is comprised of two main buildings: the Red Palace, the religious center housing relics belonging to previous Dalai Lamas, and the White Palace, housing the private apartments of the 13th and 14th Dalai Lamas (the latter fled to India with the arrival of the Chinese army in 1959). Sightseeing also includes the Sera Monastery and Norbulingka Monastery. 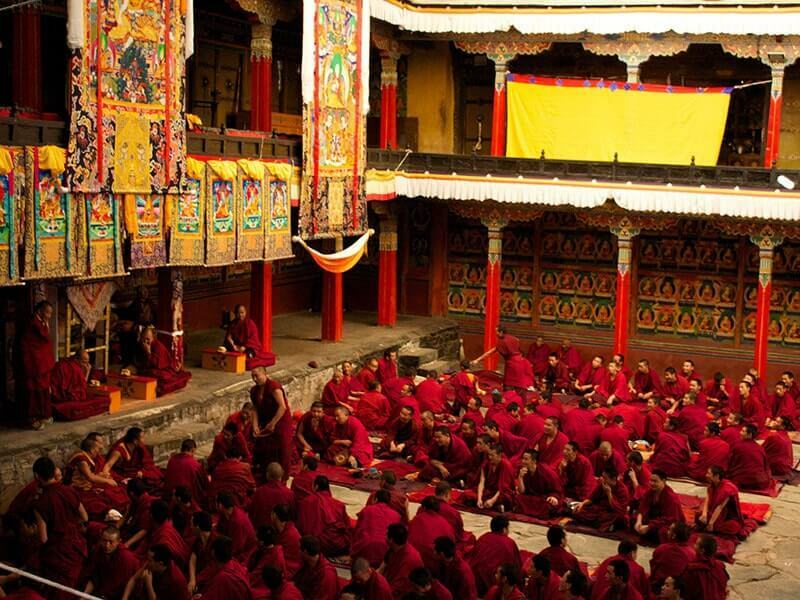 Sera Monastery was and Norbulinka monastery founded by one of Tsongkhapa’s disciples in 1419. As late as 1959 there were over 5,500 monks living within the monastery walls. The monastery today holds around 600 monks who still devote every afternoon from 15:30 to 17:00 (except for Sundays) to their fascinating religious debates - true examples of verbal sparring. The Norbulingka Monastery was built from 1755 and served as the traditional summer residence of the successive Dalai Lamas from the 1780s up until the 14th Dalai Lama's exile in 1959. Today is another full day of sightseeing in the fabled city of Lhasa. 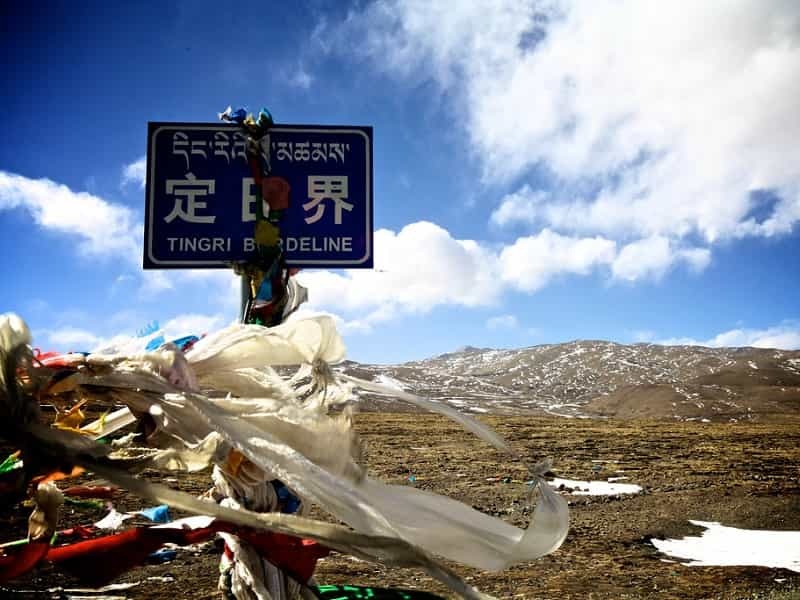 First, we will visit the 15th century Drepung Monastery which is situated at the foot of the Mountain Gambo Utse, 5 kilometers (3.1 miles) from the western suburb of Lhasa. This monastery is one of the "great three" Gelug university gompas (monasteries) of Tibet. The other two are Ganden Monastery and Sera Monastery. Covering an area of 250,000 square meters (299,007 square yards), it held 7,700 monks in total and possessed 141 fazendas and 540 pastures in its heyday, and is the largest-scale monastery among the ones of the same kind. After that we take a visit to Jokhang Temple, the most sacred and important temple in Tibet and also the most captivating. The temple is dimly lit by hundreds of candles, the air filled with the smell of yak butter and you will hear the monks’ sporadic prayers. At the end of today, we will take a walk at the bustling Barkhor Street which is a good place for you to learn about Tibetan culture, economy, religion and arts. After breakfast, we will drive about 3 hours to Tsedang Town, the political and transportation center of Shannan Prefecture. This region is the birthplace of Tibetan Civilization, as well has played an important role in the development of Tibetan Buddhism. Upon arrival in Tsedang, we will visit Yumbulagang Palace, Trundruk Monastery and Samye Monastery. Yumbulagang Palace is known as Tibet's first palace which was built by the first Tibetan King, Nyatri Tsanpo, in the 2nd Century BC. It boasts many rare sculptures and paintings from ancient times. Trundruk Monastery is one of the earliest Buddhist temples in Tibet. It is said that the Trundruk Monastery was built by King Songtsan Gampo and later became the winter palace of the King and Princess Wencheng in Tsedang. Samye Monastery was believed to be the first official Buddhist monastery in Tibet with the basic terms of Buddhism – Buddha, scriptures and monks. It was built in 762 when the great Tibetan emperor Trisong Detsen ruled Tibet. Note: Yumbulagang Palace has been closed for renovation since 24th August, 2017. Tourists cannot climb up and visit sites inside, but still can enjoy its magnificent appearance at the foot of the hill. This morning rise early for a long day of travel. After breakfast, we will drive to the beautiful town of Gyantse. This town is strategically located in the Nyang Chu valley on the ancient trade routes from the Chumbi Valley, Yatung and Sikkim, which met here. 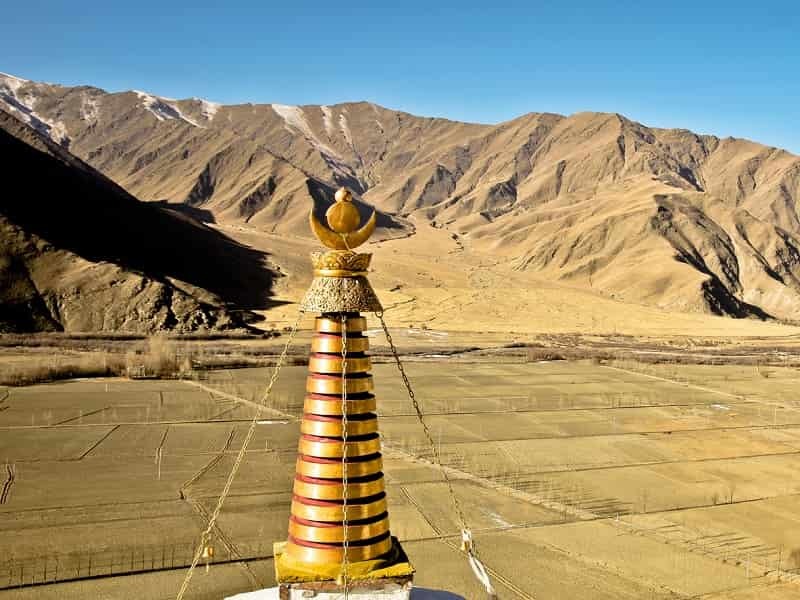 En route visit the Drolma Lhakang Temple, and make a stop at the summit of the Kamba-la pass (4,800-5,000m) for the first view of the spectacular scorpion shaped Yamdrok Lake. 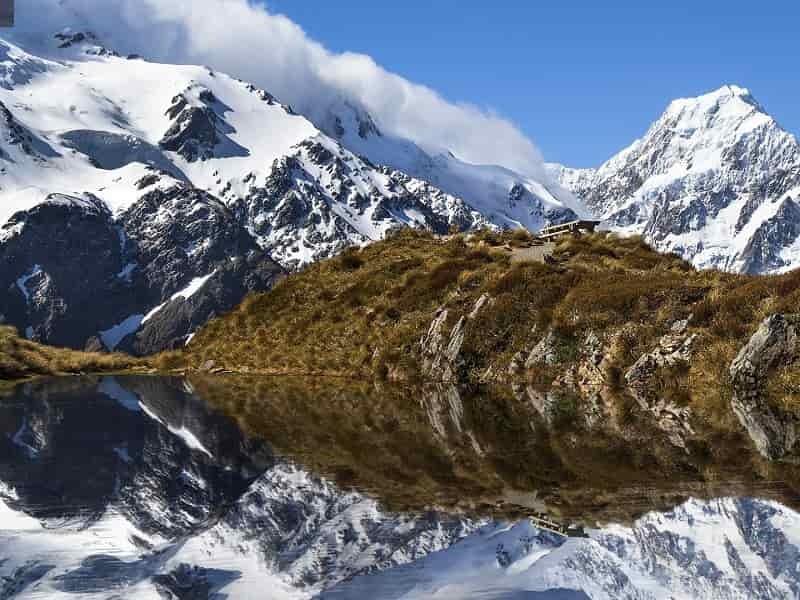 The colour of the lake is a spectacular shade of blue and it is framed by a mountain chain, dominated by the imposing Nojin Kangtsang (7,200m). It is one of Tibet's three sacred lakes and according to local mythology. Afterwards, we drive further to Gyantse. Upon arrival spend the remains of the day at leisure at your hotel. Overnight in Gyantse. This morning, we will visit Kumbum and Pelku Chode, two of the prime sightseeing spots in Gyantse. Kumbum was founded in the year 1427 by a Gyantse prince. With a gold dome, and 9 levels, it contains 77 chapels. Kumbum is thought to be the largest chorten in Tibet. Pelku Chode is the Monastery which is located inside the same compound of Kumbum. Afterwards, we drive to the remote village of Tingri. 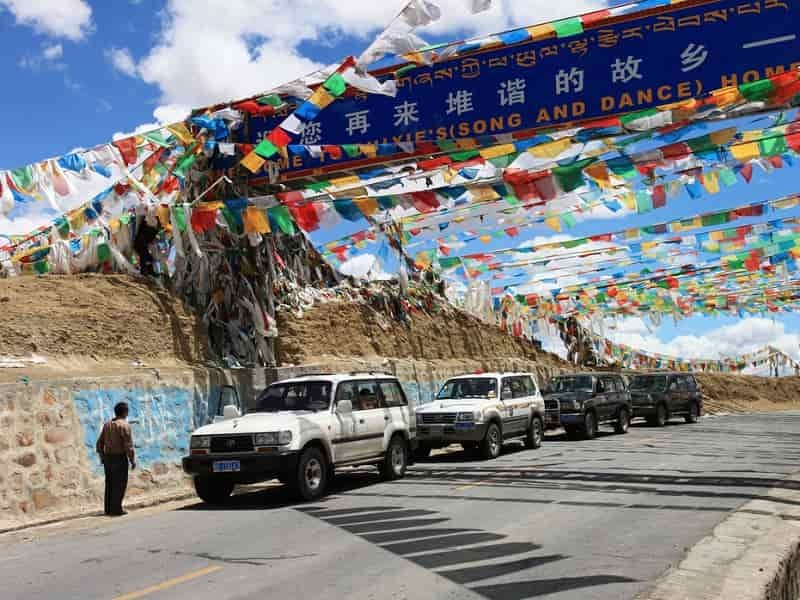 We will drive along the Friendship Highway via Shigatse, Tibets second most important city. Upon arrival in Tingri, check into the guesthouse and relax. After breakfast, we take a 2.5 hour drive to Everest Base Camp. We will drive south across a combination of tarmac road and gravel track, with the Himalaya and Everest in front of you. En route, take a visit to Rongphu Monastery, the highest altitude monastery in the world at the foot of mount Everest. Afterward, we continue our drive to Everest Base Camp. From the base camp, take a 02 hour trekking tour in the Everest National Park before returning to Tingri. During the trek, visit to the Everest monument and take the close-up shot of Mt. Everest. Today, we will drive back to Shigatse. It takes approximately 7-8 hours to drive back Shigatse. There will be plenty of stops along the way for photo opportunities and to stretch the legs. Arrive Shigatse in the end of the afternoon. The remainder of the day is at leisure. Overnight in Shigatse. Before embarking on a return trip to Lhasa, visit Tashi Lhunpo Monastery, one of the Six Big Monasteries of Gelugpa (or Yellow Hat Sect) in Tibet. 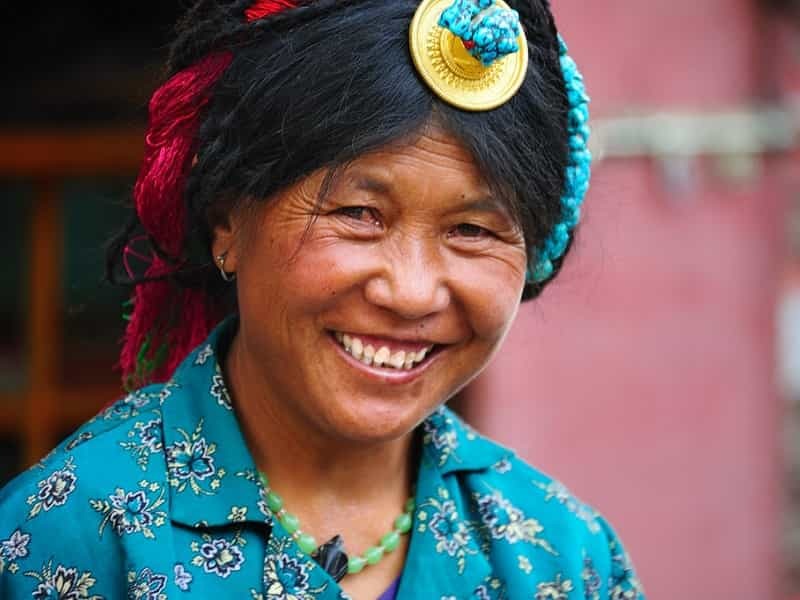 It is one of the few in Tibet to have come out of the Cultural Revolution virtually unscathed. After that, travel back on the same jaw-dropping road that we took a few days ago, allowing we to experience the incredible scenery of Yamdrok Lake and the Khamaba La Pass from every angle. There are also stops along the way for snacks and a few final photos of the mountains. Arrive Lhasa in the afternoon, you can walk around Potala Palace and take the last photos of Lhasa. Overnight in Lhasa. Your adventure comes to an end today. 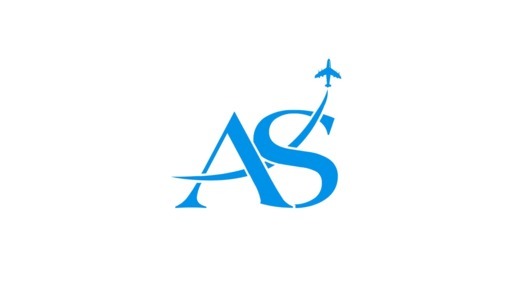 You are free at leisure until your diver come to pick up and transfer you to Gongkar Airport to catch your onward flight.